Feb 27, 2015 / Blogging U. Registration for March’s courses is now closed. Check back later in the month to see what’s on tap for April! 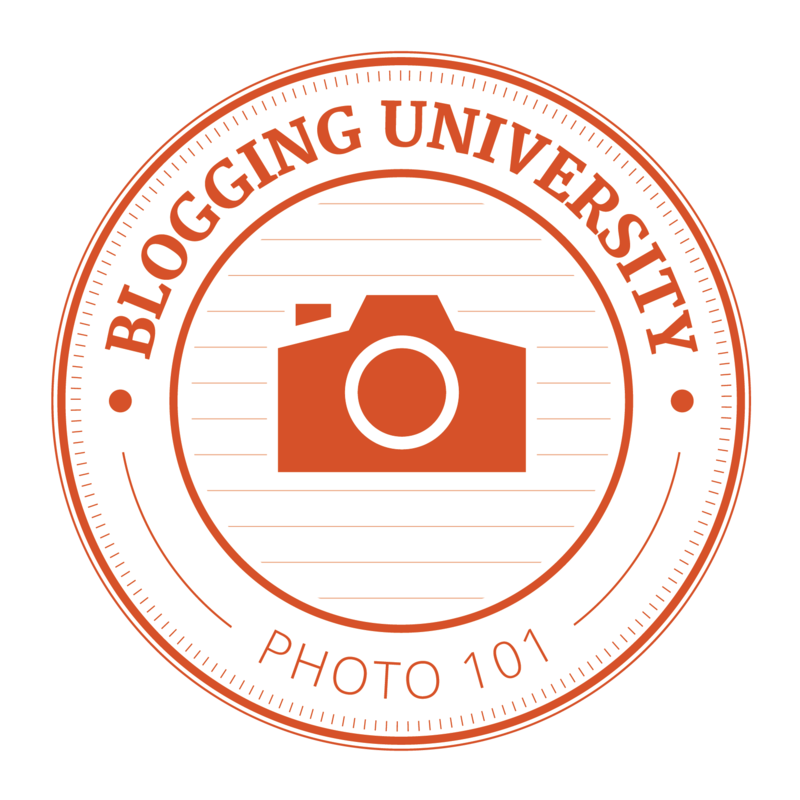 The next session of Blogging U. begins Monday, with Blogging 101 and Photography 101. Learn more about each course, see how Blogging U. works, and register! Blogging 101 is three weeks of bite-size blogging tasks to kickstart a new or dormant blog. You’ll walk away with a stronger focus, several published posts, a handful of drafts, a theme that reflects your personality, a small (but growing!) audience, a grasp of blogging etiquette — and a bunch of new friends. Build blogging habits and connections to keep you going over the long haul! Photography 101 helps you hone your photographer’s eye. This four-week, intro-level course is open to all, from new bloggers to hobbyist photographers to pro-shooters. Each weekday, we’ll give you a new photography theme and tip — we might share advice on composition, working with different light sources, or image editing — and the community critique will inspire and motivate you. You’ll get a new task to complete each day, along with our best advice and favorite resources. Do them on your own time, and interpret them however makes sense for your specific blog and personal goals — we’re not grading you, we’re not checking to make sure you complete every task, and there’s no “wrong” way to use the resources we give you. You’ll receive each assignment via email. Each assignment will contain all the inspiration and instructions you need to complete it. Weekends are free. Each course will have a private community site, the Commons, for chatting, connecting, and seeking feedback and support. Daily Post staff and Happiness Engineers will be on hand to answer your questions and offer guidance and resources. While you’re free to register for both, we encourage you to try one course at a time, to be sure you get the most out of the experience. All courses will be repeated throughout 2015. To register, just fill out this short form. Registration for each course remains open until the day before the course begins. You won’t receive an automated confirmation email, but you’ll receive a welcome email with more detailed instructions before your course(s) begin. Registration for these courses is now closed. We’ll announce April’s Blogging U. offerings later in the month! Hi, I’d like to register for Blogging 101. Instructions say to fill out a registration form, but one doesn’t show up on my email or when I go to the site. If you could give me any assistance, I’d appreciate it. Hi there, if you click on “Take Our Survey”, it will take you to the registration form. 🙂 Holli J.
I cannot find a “Take Our Survey” option on my page. Am I using the wrong browser, or do I have to turn off my adblock option? Can you take another peek now, and let me know? The registration form was there, and I have successfully registered. Thank you! It does open in a new tab/window, perhaps check for other tabs in your browser. Click on ‘Take our survey’ to find it. I signed up for photography 101, but I didn’t receive any email yet to confirm me I’m in. Is that normal? Totally normal! 🙂 There’s no confirmation email, per se. You’ll get a message when the course starts. can I register again ? I am looking for a link to register for the 101 courses and none are to be found. Where do I go? Click on ‘Take the survey’, this opens in a new tab, you’ll see the registration form. Go back to the blogging 101 and photography 101 post. Scroll down to the very bottom and the link is there. Friday Fun Foto – takes a twist today. The Daily Post is offering Photography101 course beginning Monday 3/2/15. Are you in? I am. Come join the Happiness Engineers for a fun time. I am very happy to participate again for Photography 101 March 2015. I’m so exited to learn some new things! Thanks for offering this course! I had a blast when I participated in a past photography course! Was toying with the idea of trying the blog course, but to be honest, I’m burning the candle at both ends now. Between working full time, establishing a micro ministry in my spare time, and taking a course in blogging elsewhere…I don’t think I can do it….but I really wanna! Truth be told, I’d do the photography course again as well because it’s fun! Hopefully, I can catch them when they’re offered again. Best wishes to all who participate! Enjoy the experiences and the people you’ll meet! Sounds exciting courses – both! I just wanted to register for Blogging 101, but seems like the registration is already closed. When is the next one planned, please? Or is there still opportunity to register for March one? Ah drat! got this message: Registration for these courses is now closed. We’ll announce April’s Blogging U. offerings later in the month! Will Photography 101 be offered in April, please!!! No, but it will be offered again a bit later this year. Help! I registered last week and have no email for the first days assignment! My co blogger, who is also in the UK and registered after me has had hers, and her post is already up for today. I am gutted!!! Hi, Ritu – I just checked our registration list, and it looks like your registration included a typo in your email address. I’ve just added your corrected email; you’ll receive the welcome email in a few minutes. There will be a delay in the assignment emails for you, but you’ll be able to find the assignments on the private course site. Thank you so much Michelle! I was so eager, and gutted that nothing had come through! My fault entirely but I didn’t know how to correct it!! I have already started my first post!!! Hi, I’d REALLY like to register for the Blogging 101 and Photography 101. I just started blogging last night and therefore am seeing this THE DAY it starts. Is there any way at all I can squeeze in? The information would be extremely helpful to my success. Both courses will be back throughout 2015, so you’ll have many more opportunities! Check back here towards the end of March! Thank you, Michelle! I definitely will! Hi, I registered for both Blogging 101 and Photo 101 but I cannot get in to the commons even though I received the confirmation emails. Could you please help me? Thanks! Sorry to bombard you with my comments, Michelle! And thanks again for your help. I am very excited about both courses! Hi there, when is the Photography 101 assignment for day 1 being posted? It starts today isn’t it or am I too early? You’ll be receiving all assignments via email — I checked our systems and you’re all set up, so check your inbox and spam folders. Thanks! I plan to create a sewing blog. Is this course going to help me learn the technical side of blogging? I don’t plan on writing much about myself. From other blog pages, I see things like, “Ignore the graphics to the right. I’m new to this and don’t know how to get rid of it.” Those are the kinds of problems I do not want when I launch my blog. Hello. I signed up for the photography 101 class a week or two ago. Shouldn’t I have gotten an assignment email by now? It looks like several others already have. I’m looking forward to participating! I’ve just sent you a new invite to the private site, where you can find the first day’s assignment. Our systems indicate that the emails were sent; can you check your spam filters and confirm? If still nothing, I can re-start the emails for you. Thanks for your quick response. I have nothing in my spam or inbox from you. Could it be because I used a “masked email” when I signed up? Thanks so much. It said it was private, and I clicked on “request access.” Sorry for troubling you today. I’m sure you’re super busy. Check your email for the invite! I got the invitation! It says Blogging 101, though, and I was trying to get into Photography 101. Should I click on it anyway? Thanks for being so helpful. No! And sorry — I just sent one for Photo 101. I registered for both but have not gotten anything on the photography one. Do I need to re-register or is it past a cut-off time? It looks like you accidentally checked the Blogging 101-only box, but no worries! Check your email for an invite to the Photo 101 Commons. I just kicked off the Photo 101 emails; you’ll have a delay compared to others in the course, but you can find all the daily themes on the Commons. Let me know if there’s anything else you need! bummer missed registration I NEED to learn how to blog!!!! any feedback? or other places? late registration? I can catch up! There’s a weekly thread here called the Community Pool (https://dailypost.wordpress.com/category/community-pool/) where you can ask for feedback on anything, and all the courses will be offered again throughout 2015.